Bas van Huizen is a sound and visual artist (video/animation) from Nijmegen the Netherlands. Together with Ezra Jacobs he runs Etherkreet records. 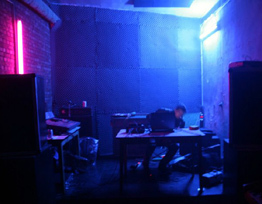 A label focusing on electroacoustic and improvised music. RB116 – lefolk – isn’t this dangerous?